Up and out by 09:30 we decided to grab a taxi to the airport as I’ve picked up Rob’s cold and we couldn’t be bothered with our favourite mode of transport…the subway…. Everything has been pretty seamless today. 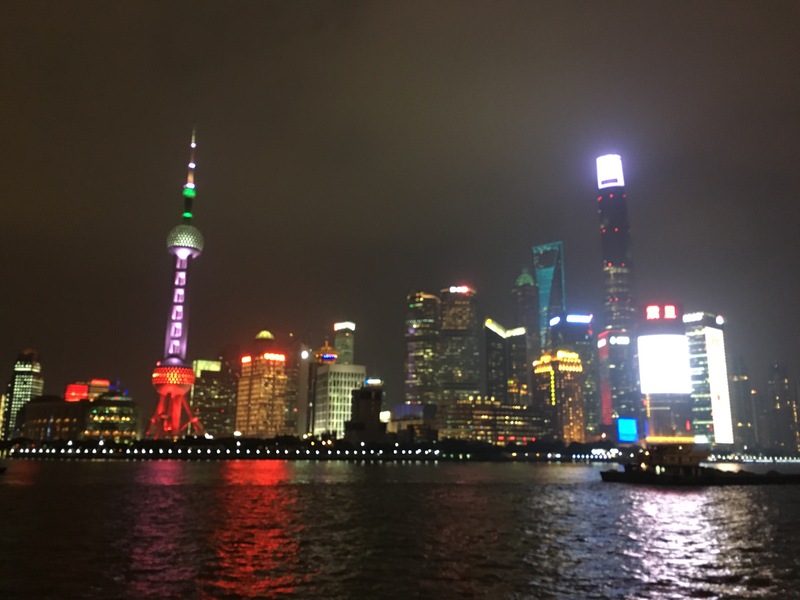 The taxi to the airport, the flight, subway to the hotel and now we’re in Shanghai! It was probably the city I was least looking forward to out of the five, or rather I should say, the one I had thought the least about. After all it is just another city. 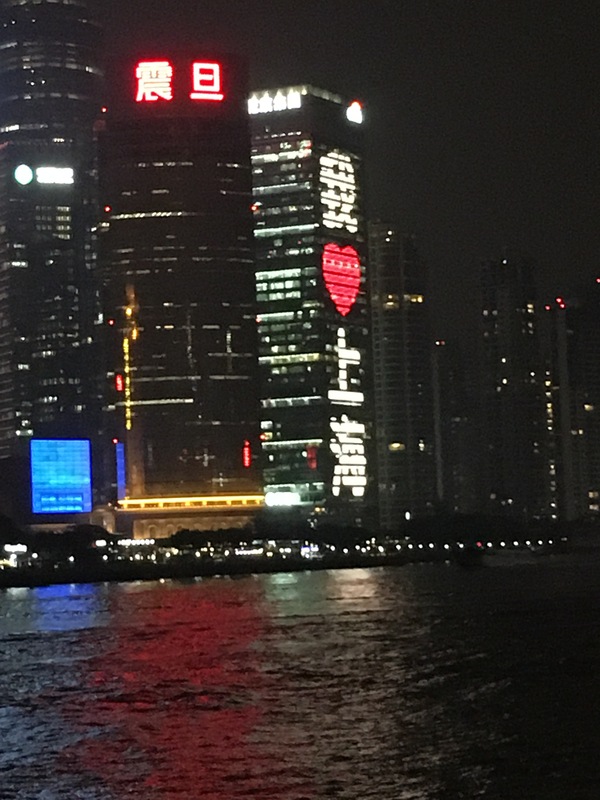 Yes it has an amazing waterfront and yes it has The Bund, a skyline that mirrors my home city of Liverpool’s waterfront, but it’s just another city right? I couldn’t have been more wrong or underprepared. As soon as we got out of the subway and started walking down the Main Street towards our hotel, Seventh Heaven, I was amazed by the laid back people, their style, how open, clean and similar to European cities as well as Liverpool and New York it was. 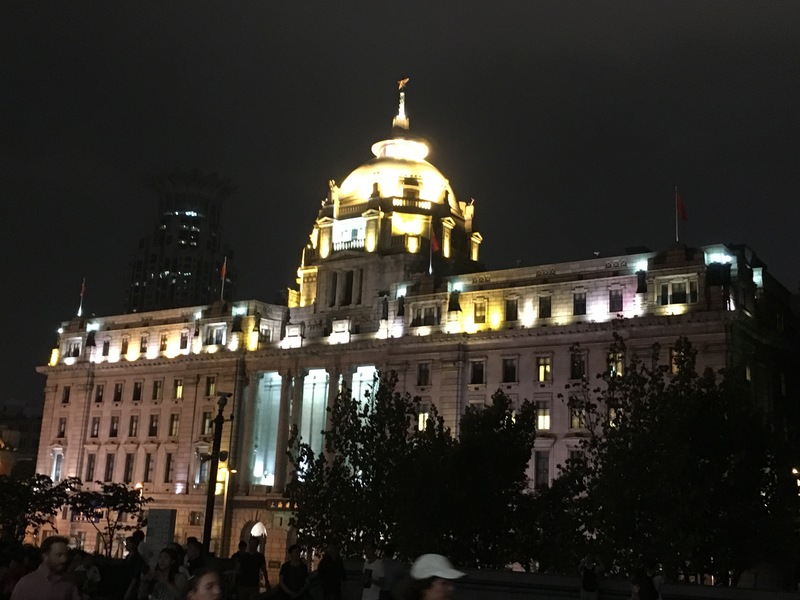 We reached the hotel by five and headed straight out towards The Bund and waterfront. After I’d taken it all in, and taken plenty of pics of course, we went in search of food and stumbled upon a lovely little restaurant where we shared chilli beef (I couldn’t handle the green chillies) and beef with broccoli which was much sweeter. Add to that some rice and fresh greens sautéed in garlic and we were full up so back we went to the waterfront to countdown until it lit up, making it even more beautiful! 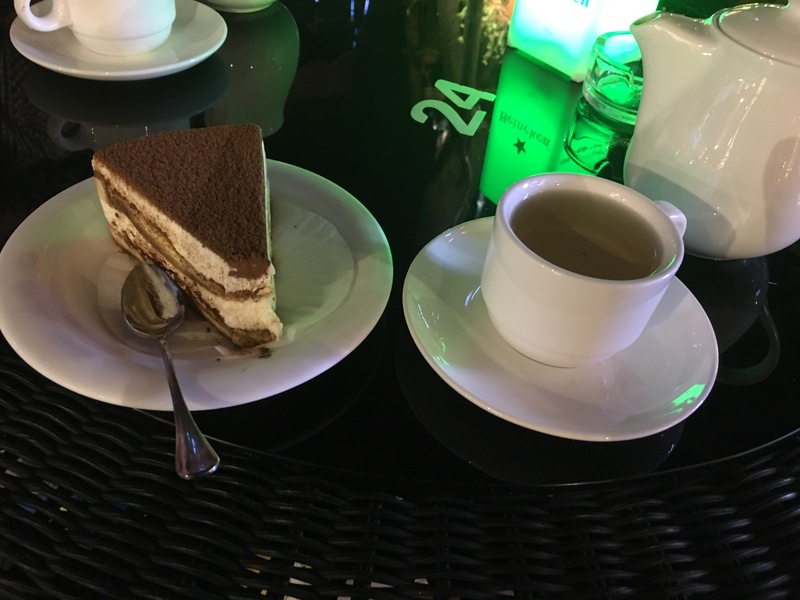 We stopped for tea on the way back to the hotel and I got my fave, Jasmine, as well as a slice of tiramisu…I wasn’t that full up then! It was then that we noticed police and the army cordoning off the road…what came next was hysterical. A parade of floats with the most miserable looking people went down the road at 20 mph for about 5 mins and then just stopped while they took the tape down for pedestrians once again…only in China! 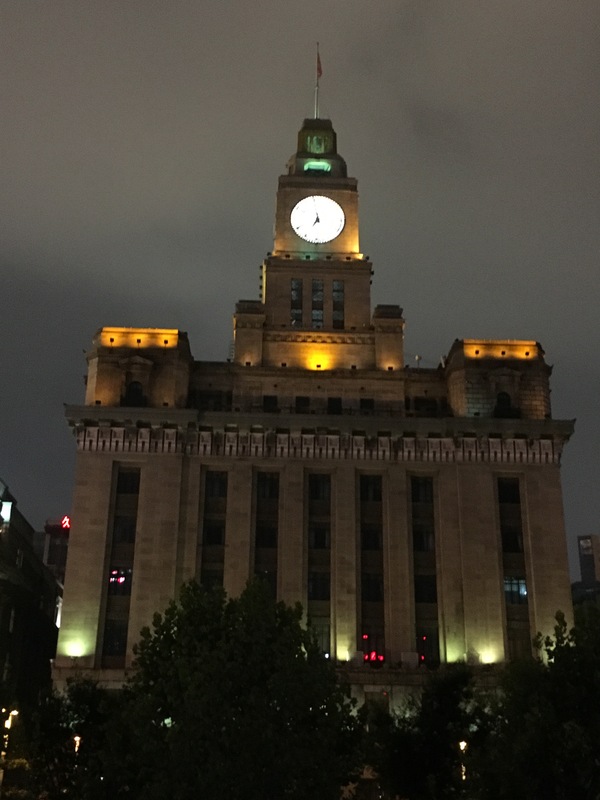 Next Post Day 13: Shanghai’s YuYuan Gardens And Moon Cake!